Martin Scorsese's epic based on the life of the present day Dalai Lama tells the story all the way from his discovery, aged two, by Buddhist monks searching for the reincarnation of the 13th Lama among the farming communities in Northern Tibet in 1935, his upbringing and tutelage in Lhasa, right through to the Chinese communist invasion in 1950 and his eventual exile to India in 1959. Fascinating, meditative and filled with hauntingly beautiful images filmed by Roger Deakins, Philip Glass's own Buddhist beliefs and deep understanding of Tibetan culture (he describes himself as a a Jewish-Taoist-Hindu-Toltec-Buddhist, is a strong supporter for the independence of Tibet and was one of the key founders of The Tibet House in 1987) played a key role in meshing the music with the images. Scorsese said of Glass's score: "The beauty, magic, grandeur, and spirituality of the score allow us to feel the pulse of the story as it unfolds. For me, images in the film no longer stand on their own without Philip Glass's music. 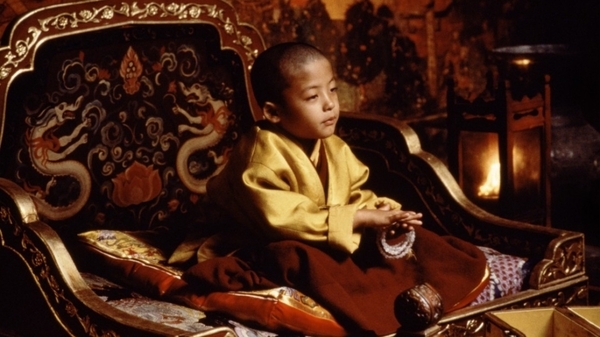 I consider myself fortunate, indeed blessed, to have worked with him on Kundun..." A work of great beauty and power resulting from a collaboration between a master of modern cinema and a master of modern music. Curated by Fern Dunn, a UWE MA Curation student on placement at Watershed.